John Pope was born in Louisville, Kentucky, on 16th March, 1822. He graduated from the U.S. Military Academy at West Point in 1842. He was employed as a topographical engineer with the United States Army. During the Mexican War Pope served under General Zachary Taylor. On the outbreak of the American Civil War Pope was appointed brigadier general of volunteers in 1861. After a successful campaign along the Mississippi, the following year on 26th June, 1862, he was promoted to the rank of major general and given command of the new Army of Virginia. Pope was told to protect Washington, and to control the Shenandoah Valley. Pope soon made it clear he intended to develop an aggressive approach to the war. Soon after taking command he issued a proclamation to his troops: "I have come to you from the West, where we have always seen the backs of our enemies; from an army whose business it has been to seek the adversary, and to beat him where he was found; whose policy has been attack and not defense. I presume that I have been called here to pursue the same system and to lead you against the enemy. It is my purpose to do so, and that speedily." Joined by Thomas Stonewall Jackson, the Confederate troops constantly attacked George McClellan and on 27th June they broke through at Gaines Mill. Convinced he was outnumbered, McClellan retreated to James River. Abraham Lincoln, frustrated by McClellan's lack of success, sent in Pope, but he was easily beaten back by Jackson. In July, 1862, Pope decided to try a capture Gordonsville, a railroad junction between Richmond and the Shenandoah Valley. Pope selected Nathaniel Banks to carry out the task. Robert E. Lee considered Gordonsville to be strategically very important and sent Thomas Stonewall Jackson to protect the town. On 9th August, Jackson defeated Banks at Cedar Run. 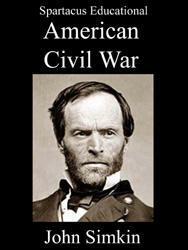 Pope now ordered George McClellan army based at Harrison's Landing to join the campaign to take the railroad junction. When Lee heard this news he brought together all the troops he had available to Gordonsville. On 29th August, troops led by Thomas Stonewall Jackson and James Longstreet, attacked Pope's Union Army at Manassas, close to where the first battle of Bull Run had been fought. Pope and his army was forced to retreat across Bull Run. 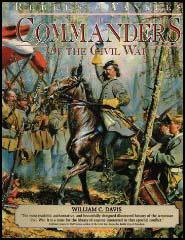 The Confederate Army pursued the Army of Virginia until they reached Chantilly on 1st September. The Union Army lost 15,000 men at Bull Run. Pope was blamed for the defeat. A staff officer later recalled that "Pope was entirely deceived and outgeneralled. His own conceit and pride of opinion led him into these mistakes." Relieved of his command Pope was sent to Minnesota to deal with a Sioux uprising. In September, 1862 Pope was appointed commander of the Department of the Northwest. After the war Pope was commander of the Department of the Missouri (1870-83) where he was given the responsibility of protecting settlers from Native American attacks. Pope, who regained the rank of major general in October, 1882, he retired from the United States Army in 1886. John Pope died in Sandusky, Ohio, on 23rd September, 1892. I have come to you from the West, where we have always seen the backs of our enemies; from an army whose business it has been to seek the adversary, and to beat him where he was found; whose policy has been attack and not defense. I presume that I have been called here to pursue the same system and to lead you against the enemy. It is my purpose to do so, and that speedily. Meantime I desire you to dismiss from your minds certain phrases which I am sorry to find so in vogue amongst you. I hear constantly of "taking strong positions and holding them", of "lines of retreat", and of "bases of supplies". Let us discard such ideas. (2) Carl Schurz was highly critical of General John Pope's tactics at Bull Run. (3) Henry Villard worked for the New York Tribune during the American Civil War. In his memoirs he wrote about the abilities of General John Pope. General Pope was, no doubt, an able man and good soldier, but, whether from accidental mistakes or natural incapacity to lead a large force, his performances as an independent commander never equaled his promises. He had two marked failings - first, he talked too much of himself, of what he could do and of what ought to be done; and;, secondly, he indulged, contrary to good discipline and all propriety, in very free comments upon his superiors and fellow commanders. 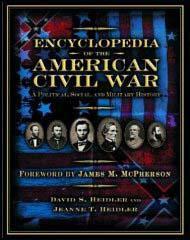 (4) Cecil D. Elby, wrote about John Pope in his book A Virginia Yankee in the Civil War. Pope was entirely deceived and outgeneralled. His own conceit and pride of opinion led him into these mistakes. On the field his conduct was cool, gallant, and prompt.